Here at AMPdj we survey every client who submits an enquiry and we have received thousands of replies. From these, we can see that price is sometimes, but very rarely, the only deciding factor. Why would a client call you if you haven’t given them a good reason to? If you provide them with in-depth information about your service and convince them that you can provide a really exciting party, then there's a far better chance that they will call you. The general procedure for a client is to read the email and, if that interests them, they will click through to the DJ’s website to find out more and confirm what they have read. If a DJ doesn’t have a website or somewhere to point a client, it’s as if they have an important rung of the sales ladder missing that the client needs to 'climb' before they book. When a client clicks through to a website, they are mostly looking for evidence in the form of pictures, videos and testimonials. If you don’t have a website, there are other ways of enabling clients to see picture and videos such as directing them to Facebook, YouTube, etc. Testimonials can be incorporated within your email reply. Including these items as an attachment might seem the obvious answer but bear in mind that savvy internet users are very cautious of opening attachments because of internet 'nasties'. Also, not every computer has the necessary software installed so the client may not be able to open your attachments to view them. It could be argued, ‘what has my spelling ability got to do with DJing?’ When you reply to an email, the client can’t hear or see you, so they form an opinion of you from the written word. If your email contains spelling mistakes, or is grammatically incorrect with poor punctuation, it is likely they see you as someone who can’t be bothered and doesn’t pay attention to detail. A poorly written email is also difficult to read hence it is unlikely to be read all the way through. You may be the most professional DJ in your area, but if your email contains mistakes, it will be harder for you to convince the client otherwise. If you have performed at a venue before, make sure you tell the client. It is very important to them and is a way of saying that you are suited to this venue and they will have a better party because you understand how the venue prefer to do things. People buy people. If you come over as friendly and approachable, a client is much more likely to want you at their party. An important part of the marketing process is building up a good rapport with your client. You need them to like you. Perceived value is a major influence when choosing to buy, or not as the case may be. If you are too cheap, discerning clients will think you only charge that amount because you’re not worth more. On the other hand, it is very easy to price yourself out of the market. If your fee is a lot higher than your competitors, you will need to convince the client that they will get more and have a much better party if they choose you. This demonstrates again the importance of a well written email. Members of AMPdj can use our free support service to have their email checked and ‘tweaked’ so that it is of the highest standard of written English and comes over as professional. A long email isn’t enough; it has to be relevant to the client you are answering. Be sure to use the ‘so what’ method. Every time you say what you do, include an explanation of how this will benefit the client and make the party better. It is these details that will make you stand out from the crowd. When you reply to an enquiry, you never really know what the client is looking for and what will tick their boxes. The more detail you include, the better the chance of hitting on the one thing that tips the balance in your favour. It could be something small like being sympathetic to volume, or being a specialist in a particular genre…. You just never know sometimes. Always look at the enquiry closely and match your response to what they are looking for. If they are enquiring for a wedding, it’s not advisable to talk about other types of functions you do; keep it relevant. There is a market for all types of DJs; from those who let the music do the talking to being an entertainer and instigating the fun using a microphone. Make it clear in your email response which type of DJ you are. This important point is often omitted from a response because the DJ is trying to be everything for everyone. A client is far more attracted to a DJ who has a particular style and specialises in one thing rather than a ‘Jack of all Trades’. You won’t be everyone’s cup of tea, but you will tick the box more times than not. This response demonstrates the actual thought process of the majority of clients; interested in what is said in the email, check that this is substantiated by the website, then backed up by what other clients have to say about this DJ. Never underestimate the power of testimonials from previous clients. Also, communication is key. We’ve all dealt with the frustration of waiting for a reply or finding it difficult to get hold of someone. The easier you make it for clients to correspond, the more professional you will appear. Your personality is as important as your DJ skills. It doesn’t matter how advanced your mixing skills are, if the client doesn’t like you, they are very unlikely to book you. The price is very rarely the only deciding factor for clients. When a client asks for a quote, what they are really saying is, ‘what can you do to make my party a success and how much will it cost’. Even if the price isn’t the most important thing for the client, they still want to know if you are within their budget. If you have a complicated pricing policy, try to give at least a parameter or list the options with their relevant prices. We also know that in many, many cases a client will increase their initial budget if the DJ they like ticks all the other boxes. This comment, provided by one client, could easily be used as an ideal check list for your email response. In this modern world, email has become the most common form of communication. Therefore it is imperative to get it right first time and give a lasting, positive impression to a potential client. Any AMPdj member who would like their email critiquing (for free as a benefit of membership) can send it to sandy (at) ampdj.co.uk. We make sure that each email is unique to that member and reflects their service. Non-members can also avail of this service for £25.00. Confirmed demos from EV, FBT, Chauvet, Dynacord, Pioneer and NovoPro - free entry. Inspiration Sound & Light, Peterborough, Tues 2nd Dec 2014. 17.00 - 21.00. Demos from Laserworld, Numark, Denon, Alto, Chauvet & ADJ. Free mince pies and drinks. Apollo Light & Sound, Wiltshire, Thurs 4th Dec 2014, 16.00 - 20.00. Demos and offers from American DJ plus free food and drink. Developed by The London College of Music in association with The Music Factory Entertainment Group, DJ Dynamics is a unique resource for anyone wanting to learn about the techniques and processes that underpin DJ mixing. Courses are delivered in full HD video content with interactive quizzes and a virtual DJ mixer via the DJ Dynamics online platform. The course culminates in a formal assessment with successful candidates being awarded an official NQF qualification from the London College of Music (part of the University of West London). 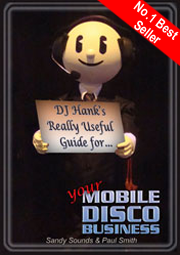 The paperback edition of DJ Hank's Best Selling book is available from the AMPdj Store. - Order now to receive it in time for Christmas. 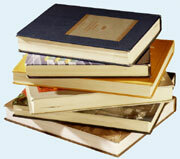 Two AMPdj members are currently putting the finishing touches to their own books. We've had a sneaky peek at both and we can highly recommend them to all DJs. As soon as they are published you'll be the first to know and we'll even try to include a pre-view of at least one chapter from each so that you can make up your own mind. 3) lack of info in reply: some gave lots info others none at all except "call me""